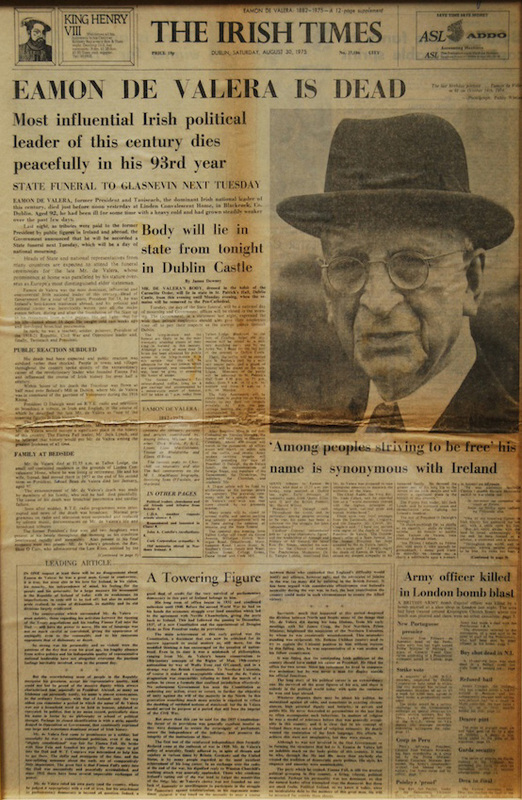 On Saturday 30 August 1975, the Irish Times announced the death of Éamon de Valera. A towering influence, he served multiple terms as a socially conservative Taoiseach and President. De Valera retired from politics in 1973 at the age of 90, the oldest head of state in the world at the time. He is buried in Glasnevin Cemetery.